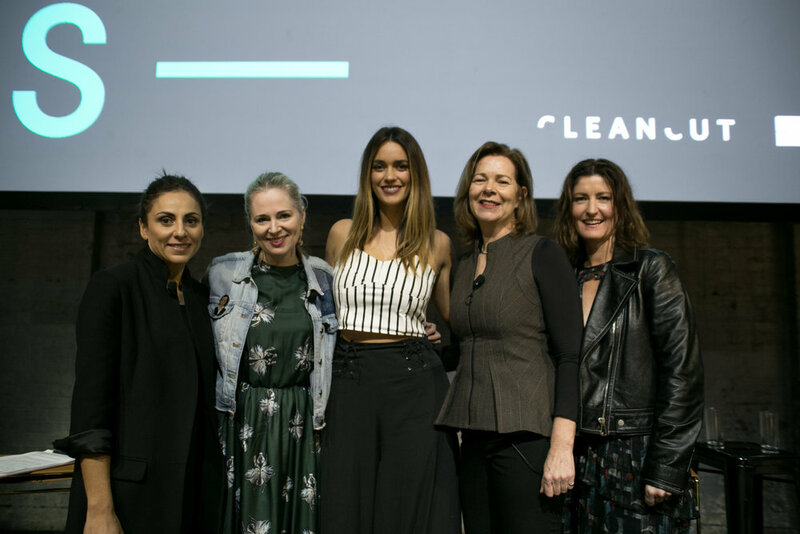 Clean Cut is a collective of sustainable fashion advocates, bringing about greater awareness and celebration of the future of Australian fashion. Founded in 2014, Clean Cut Fashion Association is a non-profit industry organisation that encourages ethical and sustainable practice within the fashion industry through awareness, knowledge and support. Launched in 2015 at Mercedes Benz Fashion Week Australia, this event set forth to open discussion amongst Australian fashion industry professionals on the production of clothing with ethical and sustainable principles in mind. This year we are proud to partner with Ethical Clothing Australia to present FUTURE TALKS #3. Moderated by Clare Press (Wardrobe Crisis author), the panel includes founder and creative director of Viktoria & Woods, Margie Woods, co-founder of Manning Cartell, Gabrielle Manning, and environmentalist and model Laura Wells. This event is dedicated to practicing and promoting state of the art design, ethical production, and innovative business practices. In a globalised industry we discuss the importance of craftsmanship, quality over quantity and the renaissance of onshore manufacturing. CLEAN CUT aims to dramatically reduce the negative social and environmental impact of unsustainable fashion industry operations globally. In Australia we operate as a link for the local industry to international advocacy bodies in this arena. We assist new and existing fashion brands and businesses to assess their existing impact and create measurable road-maps towards more sustainable and positive impact processes in short and long term. CLEAN CUT does this through partnering with local industry, media, designers, brands and businesses by providing them with resources through symposiums, events and digital seminars to apply these principles to their business with expertise and innovative action. And that's a wrap to another successful FUTURE TALKS #3 at @fashionweekaus . Big thanks to our partner for the event @ethicalclothingaustralia to our engaging panellists @viktoriaandwoods @manningcartell @iamlaurawells and to welcoming back the intelligent and witty @mrspress as moderator! We're thrilled to welcome back @mrspress as the moderator for our FUTURE TALKS #3 this morning!! Clare is the author of Wardrobe Crisis, a must read for anyone wanting to delve deeper into the ethical fashion discussion, fashion editor and Eco influencer. We're excited to hear Clare with her wit and knowledge on this topic this morning! Our final panellist intro for tomorrow's FUTURE TALKS #3 at @fashionweekaus is Margie Woods, founder and creative director of @viktoriaandwoods Clean Cut Fashion Association have partnered with @ethicalclothingaustralia to host an insightful discussion on quality over quantity and the renaissance of onshore manufacturing. Viktoria & Woods is a reflection of modern lifestyles and the sartorial tone of Australian women. Viktoria & Woods is predominantly and proudly made in Australia. In addition to constructing garments in Australia, core fabrications including organic cottons and merino knitwear are knitted in Melbourne to specification. Accredited by @ethicalclothingaustralia , meaningful design continues to guide their design philosophy. Be sure to follow us on instagram from 10am tomorrow and to jump onto the website later in the day to watch the full discussion! We keep style with a conscience at the heart of all we do. Clean Cut provides online resources, events and industry consultations to support fashion lovers, designers and labels as they make choices toward fashion that is truly fair.